This simple cpo uses the 7404 low-power Schottky hex inverter. C is a 5- to 30-µf electrolytic selected for the desired pitch. 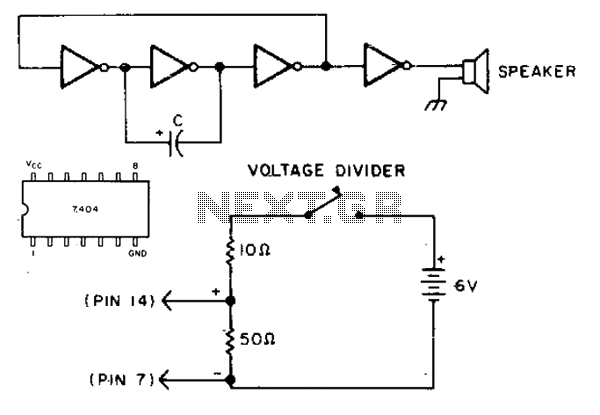 The inexpensive 7404 hex-inverter has enough amplification to handle a wide range of transducers. Closing the key completes the battery circuit and applies four to five volts to the 7404. Bias for the first two inverter amps (Ula and Ulb) comes from the two resistors, Rl and R2, connected between their inputs and outputs.